Sharing Resources - Bring a resource you have used this year, take away everyones! Two workshops from a choice of Core Maths, A Level Maths & Further Maths. Plenary lecture by Lynda White & Emma McCoy (Imperial College London). An opportunity to network with other teachers and share great resources. An opportunity to consider pedagogy to support post 16 maths Core Maths/A Level Maths/Further Maths. This event would benefit any secondary maths teacher, both those who teach post 16 mathematics and those who plan to teach it in the future or would like the opportunity to consider the maths their students will see post 16. The day will start with the opportunity to share a resource that has worked well for you this year. This can be from any area of secondary mathematics (KS3, KS4, Core Maths, AS/A Level Maths or AS/A Level Further Maths). You will need to bring around 10 hardcopies of your resource and be prepared to talk about it for a few a few minutes (why is it a good resource? How did your students benefit form it? What misconceptions did it challenge? How did you use it?) or perhaps just give everyone the chance to have a go at it. You will also be expected to send it electronically in advance of the conference; this will mean that by sharing one resource you gain access to ~80 as these will be made available on the day! 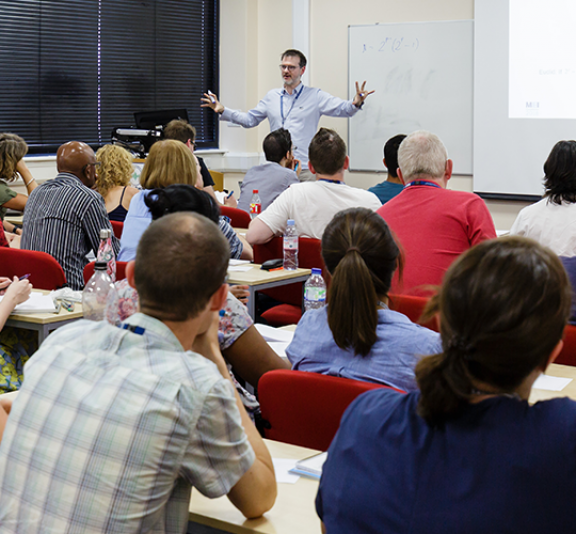 The day will also include a choice of repeated workshops (2 from Core Maths, AS/A Level Maths and AS/A Level Further Maths) and a plenary lecture. Priority will be given to state funded schools/colleges. Independent schools/colleges can register their interest on the booking form and will be contacted after the 10th June if there are remaining places. A tour of the key features of outstanding A level lessons using trigonometry/differentiation as our vehicle. Attractions will include: making mathematical connections, nurturing independence, and helping it stick with teaching ideas and ready to use resources to take away. It could be argued that Further Maths sees a larger percentage of teacher exposition than elsewhere, and yet FM students are often well-suited to self-study and tackling problems under their own steam. Over two years, Jonny wrote Further Risps, and recently self-published that both as a hard copy book and as a pdf. He doesn’t stick to any particular syllabus, but any Further Maths teacher should find that the majority of the forty tasks here will be adaptable for their students’ situation. During his workshop, he wishes to encourage people to try a task from the collection, and then enter into a discussion about how such material can sensibly be integrated into an A Level course. He also hopes to offer some tips on how a teacher might write open tasks of their own. A small number of hard copies of Further Risps will be available to buy on the day (cash only) for the reduced rate of £10. The pdf can also be purchased on his website. 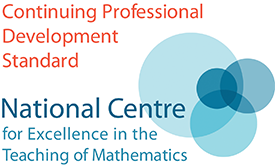 This is a great opportunity to see how the delivery of Core Maths can differ to GCSE and A level Maths and would be of particular interest to those that are new or prospective teachers of Level 3 Maths. During the hands on session you will get the opportunity to try Core Maths activities on central tendency and spread. We will focus on Standard Deviation because this is in both Psychology and Geography A levels and can be an area that students find challenging if they are not studying A level or Core Maths Maths alongside. You will also find out how to get support with the implementation and delivery of Core Maths. A lot of people know that if you have 23 people in a room then it is more likely than not that there is at least one pair of them with the same birthday. This always appears as a surprising result even if you understand the calculation which gives it. Probability is like that. It is a subject where our intuition can be very unreliable and where weird things can happen. Suppose there are 3 options A, B and C. You prefer option A to option B and you prefer option B to option C. Surely you must then prefer option A to option C? I will show you that this is not necessarily so and that even stranger things can happen when we make choices and probability is involved. The statistics content in the new A-level requires a greater emphasis on statistical interpretation, which is a challenging topic to teach! The introduction of the Large Data Set (LDS) is an attempt to introduce more data literary into the A-level. This talk will discuss some of the challenges and opportunities that the LDS provides. Schools/colleges in AMSP Priority areas can claim a free second place (please note that non-attendance will still be charged). A list of priority areas can be found at https://amsp.org.uk/about/priority-areas.